Shakopee, MN (November 27, 2018) – Held each Thanksgiving weekend at Spirit Mountain in Duluth, Minnesota, the Duluth National Snocross marks the unofficial start of the snowmobile racing season. This year’s event kicked off this past November 23-25 on a weekend that started warm and wet on Friday, but turned chilly the next two days. 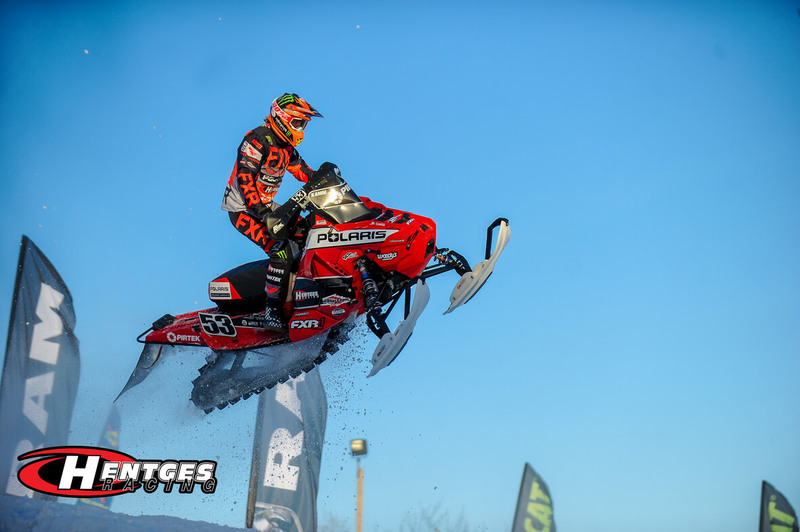 The Hentges Racing team was looking to build on its success from last season with a fully-revamped Polaris snowmobile set to take on the competition. 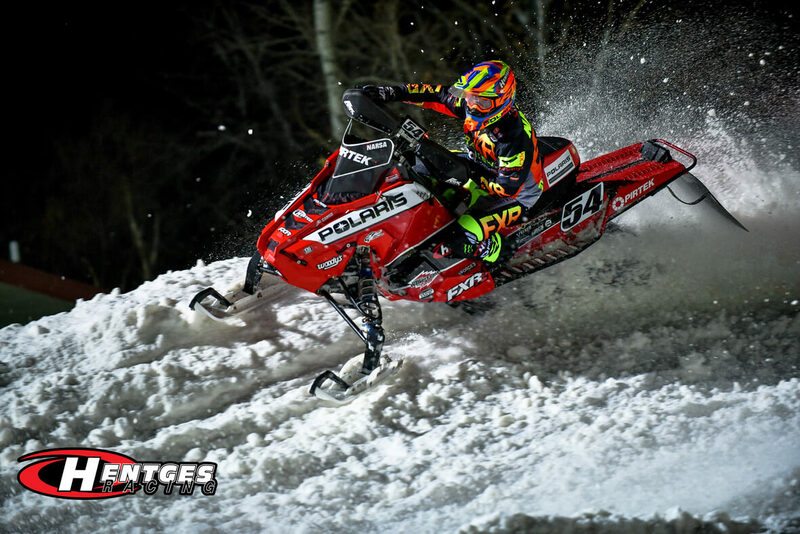 Duluth is always a tough event, and in addition to a deep field of top-class Pro riders, the Hentges team also had to deal with a brutal track that included a sled-swallowing downhill dogleg turn. Team rider Kody Kamm returns with eyes set on recapturing the Pro points title he won in 2017. A strong day on Saturday turned somewhat sour when he tipped over in the final, but he remounted and came back to finish 7th. Kamm returned Sunday to sweep his heats on the way to taking 2nd place, his first podium finish of the 2018-2019 season. Swedish rider and 2017 X Games snocross gold medalist Petter Narsa is looking to solidify his status as one of the top Pro riders in the world, and entered Duluth ready to set the foundation for the season. The tough Duluth track played a big factor in racing all weekend and Narsa fell victim to its challenging layout, earning a back row starting spot on Saturday and returning Sunday only to get dealt a bad hand. The next event on the Hentges Racing schedule is the Jackson Hole Snocross National December 7-8 in Jackson, Wyoming. For more information on Hentges Racing visit www.hentgesracing.com. Follow Hentges Racing on Facebook, Twitter, Instagram and YouTube.